To perfectly fit your every need! Schedule your free consultation now! BRING YOUR OFFICE INTO THE 21ST CENTURY! Contact us to learn more about our state of the art custom made motorized roller shades. 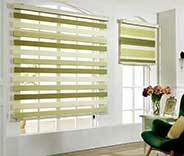 Our stunning made-to-measure blinds are tailored to your individual home decor needs. We follow the latest design trends to provide you with stunning window coverings. We schedule your in-home consultation to help you choose your blinds without delay. We supply only genuine, top quality window coverings for our customers. Schedule your free consultation today to learn more about our window treatments! Layered shades have a lot to offer you, especially considering how easily adjustable they are and how their unique structure can really complement all sorts of décors. Learn more here. Add thermal efficiency to your windows with the use of high quality cellular shades. These coverings offer a two-for-one on light filtering and extra insulation. Learn more here. Pleated or flat, Roman shades make for a beautiful décor contribution that can complement the design and style of any room, from your kitchen to a business office. Read more here. Roller shades are some of the most commonly used treatments for residential, restaurant, and office windows. 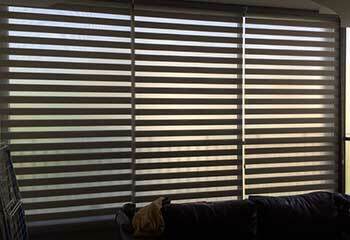 Check out our product page here to learn about our roller shades. Sheer shades can combine privacy with light filtering in a way that makes them perfect for various parts of your house or your business. Utilizing sunlight was never this easy. Remote control your window coverings with the use of state of the art technology. 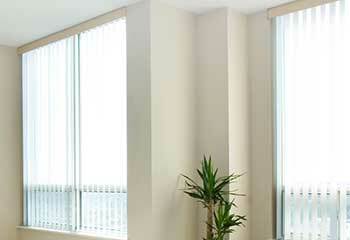 Click here to find out more about motorized blinds and shades. 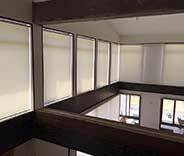 Businesses and other workplaces need window shades and blinds, just as much as homes do; if not more so. Click here for a rundown on what our company can do for commercial windows. If you live anywhere between Laguna Hills and Lake Forest, Mission Viejo Blinds & Shades, LA is here to lend you a hand to find the finest window coverings to suit your needs. Whether you want to allow in natural lighting or prefer a complete blackout, our professionals have years of experience and offer free consultation to assist you to find the best fit for any area. It’ll all be taken care of in no time! Thanks to the vast array of blind and shade types our Aliso Viejo area company has available, there are countless options for you to find the absolute perfect match for your various wants and needs. Looking for something affordable and simple to clean? Vinyl blinds are an excellent choice. Do you want a lot of choices when it comes to colors, patterns, and textures? Roller shades are what you’re looking for! This paired with free color sampling assures that the window coverings you choose will look simply beautiful. If your Laguna Woods company is in need of new window coverings, don’t worry! Our experts will be able to assist you quickly and easily so you can get back to work in no time. 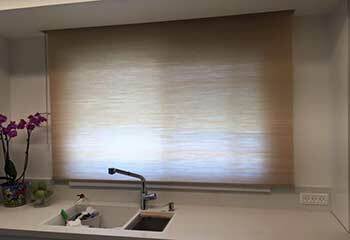 Whether you need aluminum blinds that are simple and modest to avoid distractions, some gorgeous new wood blinds for your office, or require window coverings to match the mood and theme of your establishment such as bamboo blinds, they’re all available to you as long as you live around Rancho Santa Margarita. Motorized versions of our selection of window coverings are available and once you try them, you won’t know how you lived without them! They make everything so much smoother so you can open and close all the blinds in the room to the same height evenly, rather than struggling with strings for ages to try to line them up. Timers will allow you to have them open when you wake up and close them when you go to sleep without you having to lift a finger! You can also connect them to your smart home system for further ease and even energy efficiency benefits, as it can adjust your blinds as needed to block sun from heating up your home. 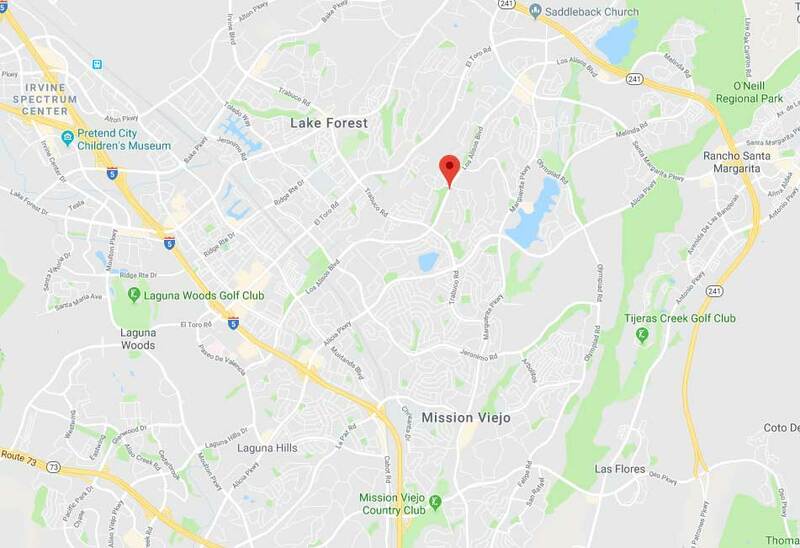 Mission Viejo Blinds & Shades is here to take care of it all for anyone in the Laguna Niguel area. 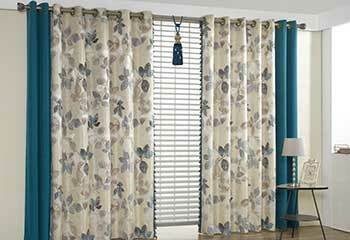 Looking for stunning blinds at an affordable price? You’ve come to the right place! Our company’s range of beautiful and contemporary window coverings is made with quality materials and can suit every room in your house. From trendy Layered Shades to classic Venetian Blinds and functional Cellular Shades, our made-to-measure blinds are cut perfectly to fit your windows. We serve customers throughout the Los Angeles area, so don’t hesitate to click on the ‘Schedule Now’ button below to book an in-home consultation with us now! Check below for our most recently completed projects. We were asked to install traditional vertical blinds in a modern style. Read about the results. Our company had no problem finding the perfect shades for this customer. Find out more here! When this customer wanted a more classic look for window coverings, our experts easily helped. Discover more here. Affordable, simple blinds were what this customer was looking for, so our team found the perfect fit. Learn more here. I can’t believe the change our new layered shades have made to the look and feel of our living room. You couldn’t have done a better job. You were so helpful, I really appreciate your guidance. My new Roman shades look great on my apartment windows. Thanks for all your help. IMPROVE THE INTERIOR DÉCOR OF YOUR HOME! The beauty of our Roman blinds is hard to beat. Schedule a consultation today. 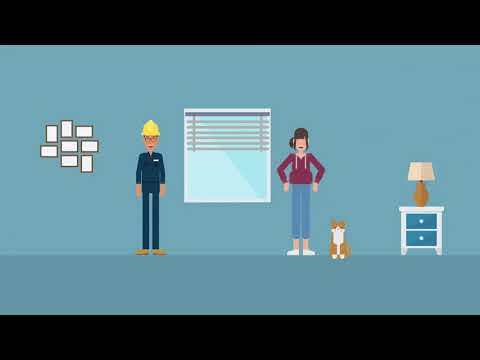 Our professionals want nothing more than to assist you in discovering the best and most complementary blinds or shades for any area, from the bedroom to office spaces! Thanks to years of experience in the field, it’ll be no problem to suit any needs or requirements you may have. There’s no need to wait! Schedule an appointment online. Thank you for choosing Mission Viejo Blinds & Shades! Feel free to browse our website for more useful information until our appointment!